Nothing shows the effects of years of sun exposure like the skin – particularly skin on the face, neck, chest and hands. 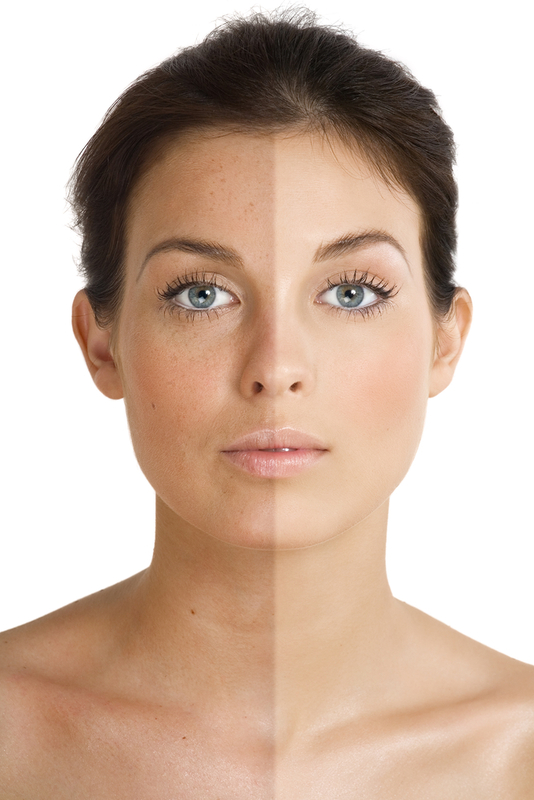 When the skin suffers sun damage, it often develops brown spots, redness and early onset of wrinkles. Fortunately, there is a treatment available to help reduce the appearance of sun damage, smoothing the skin and fading away pigmentation. It is called Intense Pulse Light therapy, or IPL, and it is a completely safe way for people her to address the effects of extensive sun damage. Did you know that the ultraviolet rays produced by the sun are a form of radiation? These rays pass directly into the skin, damaging and killing cells. Worse, the effects of sun damage take years to appear and could cause early signs of aging. Everyone should take preventative measures to avoid sun damage beginning at an early age, including the daily use of sunscreen, protective clothing and avoiding the sun when its rays are strongest between 10 a.m. and 2 p.m.
Who is a candidate for IPL? Intense pulse light therapy works by stimulating collagen, targeting brown spots and reducing redness in the skin. It is most effective for individuals with light skin in whom broken capillaries, brown spots, freckles and rosacea are most apparent. Darker spots respond best to IPL though lighter spots may resolve over the course of several treatments. IPL treatments are non-invasive and performed from the comfort of our office. A cool gel is applied before a wand is passed over the treatment area. The wand gives off bright flashes of light, which is why everyone in the treatment room must wear protective eyewear. These flashes of light are converted to heat energy, where it stimulates the collagen and destroys broken blood vessels beneath the skin. Depending on the size of the treatment area, IPL sessions typically last between 20 and 30 minutes. Most people experience little or no discomfort during treatment and resume normal activity immediately. What should I expect after undergoing intense pulse light therapy? There is no ‘down time’ associated with IPL though it is normal to experience some treatment area redness in the hours following a treatment. Since intense pulse light therapy provides progressive results over time, most people require between 4 and 6 treatments to achieve their desired results. For more information about IPL, contact our office to schedule a consultation. We look forward to helping you reverse the effects of sun damage and help you achieve a smoother and more even complexion.